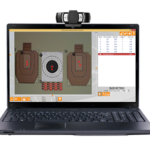 LaserLyte, innovators in firearms laser technologies, are proudly offering the most robust laser training system to date. Think you can out-shoot your friends? Boost your bragging rights with LaserLyte's Score Tyme Target, which keeps track of the score so you don't have to worry about old cheater Charlie taking any mulligans. Because everyone wants more bragging rights. 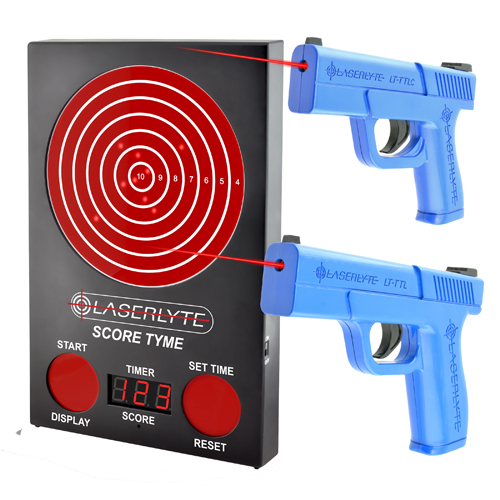 Included in the all-inclusive package are two Trainer Trigger Tyme Laser Pistols (full-size and compact) and LaserLyte's most interactive Score Tyme Target. This target system comes with 147 LEDs, scoring capabilities, timer speeds and double the target size area of LaserLyte's popular and original Laser Training Target. Three timer speeds allow for up to 3 players to challenge each other using the integrated lasers on the Trainer Trigger Tyme Pistols. The Score Tyme target scores shots 4 to 10 points and lights up to show shot placement. With the ScoreTyme Versus Kit, you'll be racing your friends and family with safe and entertaining gameplay that promotes trigger control, sight picture and accurate shooting. If you want to earn bragging rights or watch your friends pay for the next round of drinks, then its time for ScoreTyme Versus. 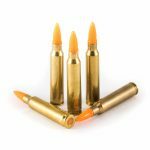 Be the first to review “LaserLyte Scoretyme Versus Kit: St Tgt, 2 Pstl, SC” Click here to cancel reply.